Long-weekends are the cheats against the daily grind of work life, because in reality many of us wish the weekend came without the end part. So whether you wait to score these pockets of chill when the public holiday dates align or intentionally take a Friday and Monday off at least once a quarter - Traveller24 has a few suggestions for you to check out. Fancy golf resorts and city boutique hotels might be default luxury break ideas, but an escape to the luxury of the Limpopo bushveld is an ideal long-weekend tryst to look forward to. Kapama Private Game Reserve, right across from Hoedspruit Airport for easy access, Kapama has four lovely lodges to choose from across the reserve, but if you’re looking for a good vibe with other travellers Kapama River Lodge offers an ideal stay. It is also the base for Camp Jabulani, home to rescue elephant Sebakwe who is most well-known as the mascot for Amarula. Your morning starts early with the first of two complimentary game drives of the day, and after spotting the animals going about on their morning business your guide stops off on the side of the road for a bush breakfast. You continue on your exploration of Kapama and you’re guaranteed of spotting some big animals – even the Big Five – with the help of a keen-eyed tracker at the front of the vehicle. You return to your lodge for a scrumptious buffet lunch. Your afternoon is wide open for a dip in the pool next to a watering hole or you can indulge in some high-end spa treatments at their wellness centre. After a quick snack at high tea, you’re off on your second sunset game drive where you’re more likely to spot a stalking leopard or lion getting ready to hunt for their evening meal. After a sundowner in the bush and more night stalking, you head back for another buffet dinner with your guide under a boma where you can recount all the animals you’ve seen that day and listen to bush stories around the bonfire. Located on the tranquil Magalies Meander and positioned under the picturesque Magaliesberg mountain range, Rustig is Gauteng’s best kept secret. While this gem feels like an oasis, it is mere 45 minutes from Pretoria and Johannesburg. Rustig is a well-established family farm run by the Oosthuizen clan. From its Tobacco growing roots in the 1930s, the farm now specialises in cattle and game – and of course proving an idyllic escape from the nearby metropolises of Johannesburg and Pretoria. With accommodation, amazing hiking trails, good food and a beautiful pool on offer, Rustig is ideal for families. Featuring a 25 metre solar-heated swimming pool and lunch facilities, inviting family and friends to spend a day enjoying this old tobacco and cattle farm. The farm boasts unbeatable hiking trails for the most novice walker to the most experienced hiker. For the more daring, the night time hikes are recommended all year around. For the foodies, the special hiker’s menu is a must! Nested deep in the Hoedspruit bush, Thornybush Game Lodge brings the luxuries of lavish hotel life into the wilderness to ensure your comfort between roughing it out on game drives. The Thornybush Collection of Lodge offerings consist of twelve Lodges, eleven of which are located in the Thornybush Private Nature Reserve and one in the Northern part of the Sabi Sand - just over 5 hours’ drive from Johannesburg. And this escape really is mostly about immersing yourself in nature - and making the most of the game drives on offer. Each time you arrive at the reception - whether it’s your first arrival or a return from a game drive - you are greeted with a cool towel, refreshments and two smiling reception staff members. Guests are also invited to enjoy breakfast in the bush after the 05:30 daily game drive and sundowners in the bush following the 15:45 daily evening game drive. On the drives, some of the animals you can expect to cross off your checklist include leopards, giraffes, lions, hyenas, wild dogs, elephants, wildebeests, zebras, warthogs, geckos and a wide variety of bird life. Thornybush also offers the option to start off the 05h30 game drive with an hour walk into the bush before being picked up by the vehicle on route. Being on the ground and realising your size in relation to nature takes the experience in the bush and makes it that much more visceral and real. The Thornybush Nature Reserve has also started dropping their fences near the end of February and are on course to becoming fully fenceless. The purpose of this is meant to instill a sense of true nature and instinct for the animals and minimise human interference in that process. Bring slip-proof slippers or shoes to avoid potential self-sabotage on the pristine marble bathroom tiles - the complimentary slippers are only safe on mats. The 91-room hotel, a converted farmhouse from the 1800s, is situated right on a bend of the scenic Vaal River - offering four multi-purpose venues and a range of exciting team building activities. The hotel caters to the corporate and conference markets, as well as families and leisure travellers. A pamper breakaway is also possible thanks to the Zogvliet Spa, and Golf enthusiasts will be delighted with the Country Club, while a variety of water sports are also on offer. The river itself is another drawcard altogether. From skiing to jet boarding, fly boarding and boating - the options are endless on the Vaal. And every year in summer, the party is never-ending as the temperatures soar close to 40°Cs. In winter, expect things slow down along the Vaal River - which creates a romantic and laid back atmosphere to just take in the surroundings - and perhaps do some fishing - with a glass of wine in hand. Long weekend bliss sorted. If a lavish stay in the midst of a natural retreat is what you’re looking for, then Fancourt South Africa proves to be one of the country’s indulgent long-weekend escapes. Situated in Western Cape’s George, against the breathtaking backdrop of the Outeniqua Mountains, the estate is predominantly renowned for its elite golf offering. perfect for couples who want to splurge on a romantic long weekend getaway. Fancourt offers a quiet escape from bustling city life, comes with amenities including a luxurious spa, pools, a gym, walking and biking trails, and the choice to play at one of three world-class golf courses. 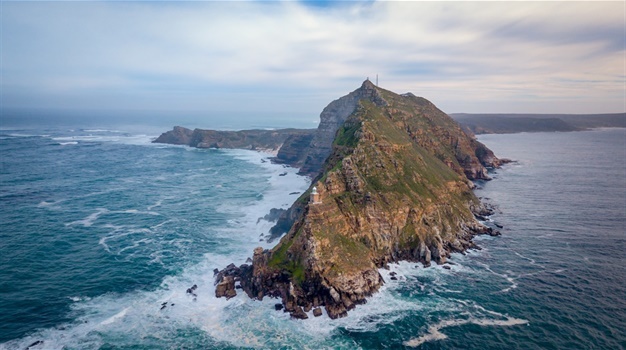 If that’s not enough, then opt for a detour to explore the surrounding Garden Route towns of Sedgefield, Knysna or Plettenberg Bay, or go on a game drive more inland in Oudtshoorn.